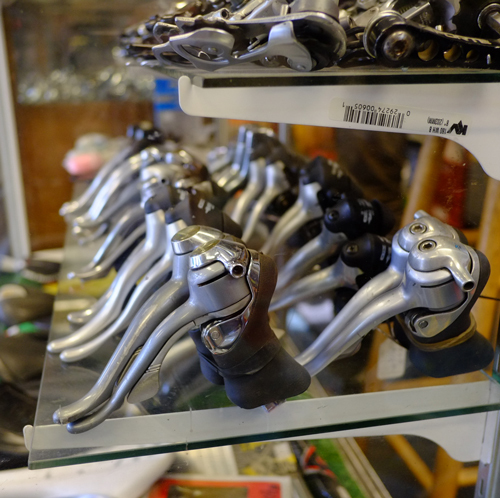 We stock a variety of used STI shifters, both pairs and singles. New integrated shifters are expensive, so come see us when you need affordable replacements. Please call or visit our 1914 SE Ankeny St. location for availability.